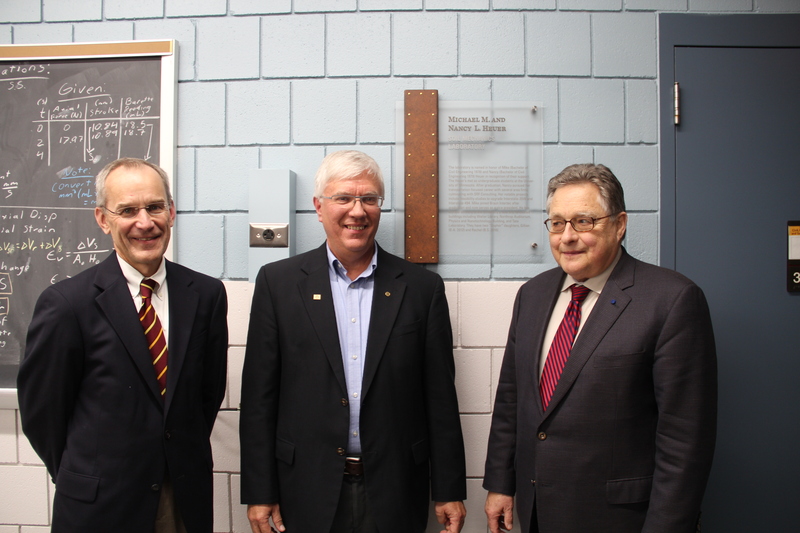 A recently renovated soil lab at the University of Minnesota is now officially named the Michael M. and Nancy L. Heuer Soil Mechanics Laboratory. 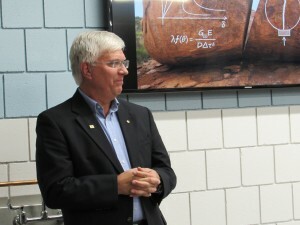 Named in honor of the Heuers’ contributions to this new facility, the lab is part of the Department of Civil, Environmental, and Geo-Engineering (CEGE) at the University. Originally opened in 1983, the lab has remained untouched, making renovations a necessity. 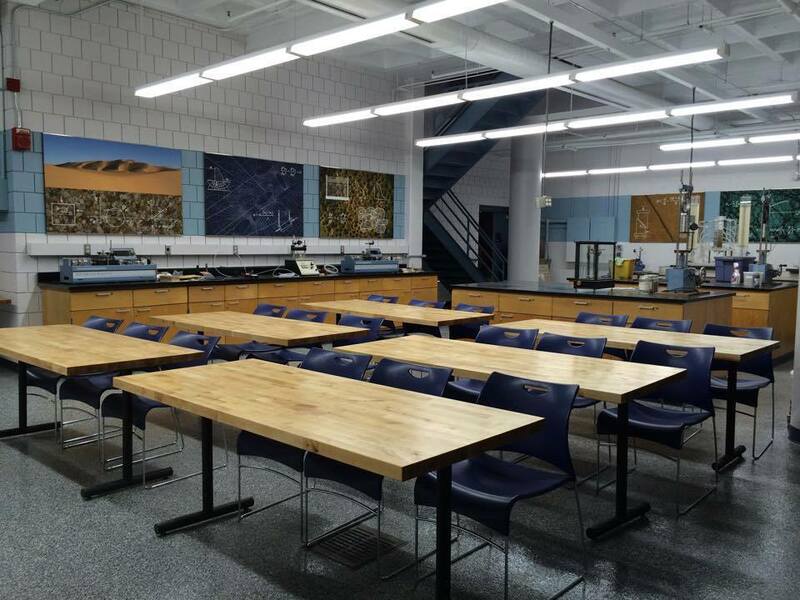 With new floor coverings, lights, cabinetry, paint, and informative panels lining the walls, the soils lab has finally received the attention it deserves. 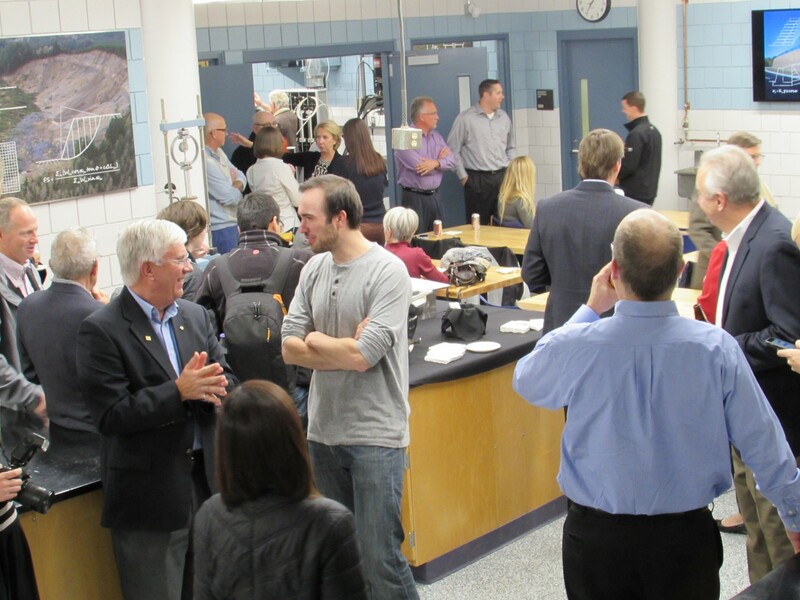 Thanks to the funding provided by the Heuers, the soils lab will benefit faculty members and students in the CEGE programs by providing an up-to-date space to examine and test soil samples and learn more about the engineering profession. The Heuers have a long relationship with the University of Minnesota. They both attended the University as undergraduate students in the Civil Engineering program and met there. After graduation, Nancy pursued her transportation-focused career with several area firms culminating with SRF Consulting. Her notable projects include feasibility studies to upgrade Interstate-35W and Interstate-494. When Mike graduated he began a career at Braun Intertec, where he now serves as a Vice President. 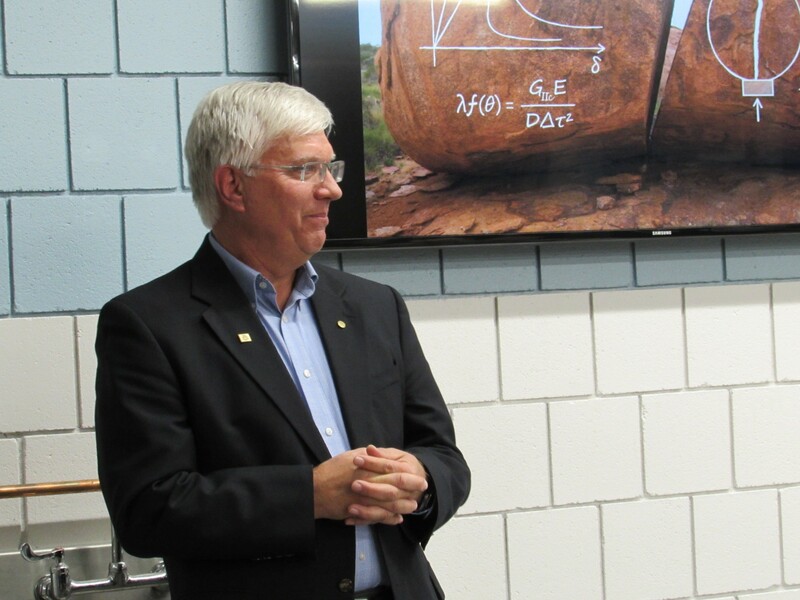 Over the years, Mike has worked on many University of Minnesota new and renovated buildings including: Walter Library, Northrop Auditorium, Physics and Nanotechnology Building, and the Tate Laboratory of Physics. They also have two “Gopher” daughters, Gillian (BA 2012) and Rachel (BS 2016). 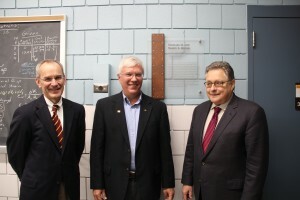 The dedication ceremony took place on November 10th, 2015 to recognize the Heuers for their support and funding of the laboratory. The night began with a seminar on slope stability and major collapses with the J.S. Braun/Braun Intertec Visiting Professor, Radoslaw Michalowski from the University of Michigan. The ceremony took place in the newly renovated laboratory where many Braun Intertec employees as well as students, faculty, friends, and family joined Mike to celebrate the occasion.